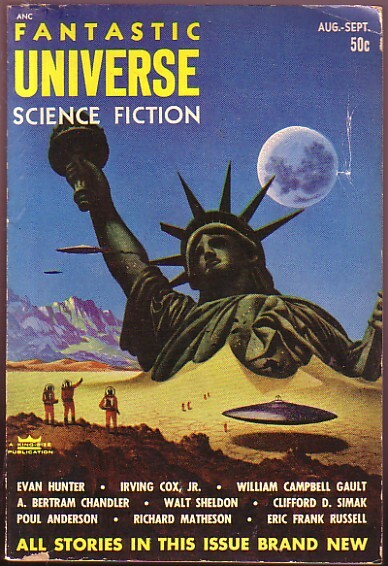 Andre Norton – The Future is Female! Andrew North (February 17, 1912–March 17, 2005) was a pseudonym Andre Norton used occasionally in the 1940s and 1950s. Born Alice Mary Norton and taking the name Andre with the publication of her first novel in 1934, she was the younger of two daughters of Adalbert Freely Norton, a carpet salesman, and Daisy Bertha (Stemm) Norton. A native of Cleveland, Ohio, she graduated from Collingwood High School, where she edited the literary page of The Collingwood Spotlight, and spent a year at Western Reserve University. Leaving school in 1931 in the wake of the Great Depression, she took a job as a children’s librarian at the Cleveland Public Library, where she remained, with a brief hiatus in 1940–41 as an archivist at the Library of Congress and as the owner of an independent bookstore, until 1950. Forced by disability to retire (she suffered from what she described as “continuing attacks of vertigo”), she supported herself, working from bed, as an editorial reader for the science fiction specialist Gnome Press (c. 1952–58), and eventually with her own fiction. Norton began her notably prolific literary career as a writer of young adult historical romance, publishing The Prince Commands (1934), Ralestone Luck (1938), and several other novels. 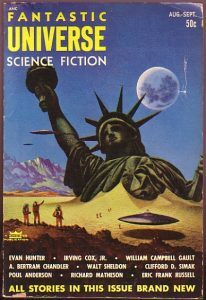 She first turned to science fiction with “The People of the Crater,” featured on the cover of Fantasy Book in July 1947, and with the novel Star Man’s Son: 2250 A.D. (1952). Her novel Witch World (1963) is perhaps her best known; the fictional universe which it began ultimately included dozens of novels and stories, many coauthored and some completed posthumously. In 1966, Norton moved to Winter Park, Florida, with her mother, with whom she lived for most of her life. In 1997, after her mother’s death, she relocated to Murfreesboro, Tennessee, where she founded High Hallack, a retreat and research library for genre writers. Norton was the first woman to win the Gandalf Grand Master of Fantasy award and the Nebula Grand Master Award for Lifetime Achievement from the Science Fiction Writers of America. She was nominated for the World Fantasy Award for Lifetime Achievement three times and won it in 1998. She was also nominated twice for the Hugo Award. She died of congestive heart failure; in lieu of a funeral, she was cremated with copies of her last and first novels. 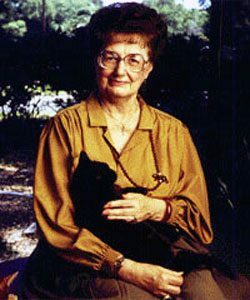 In 2005 the Science Fiction and Fantasy Writers of America established the annual Andre Norton Award for Young Adult Science Fiction and Fantasy in her honor.